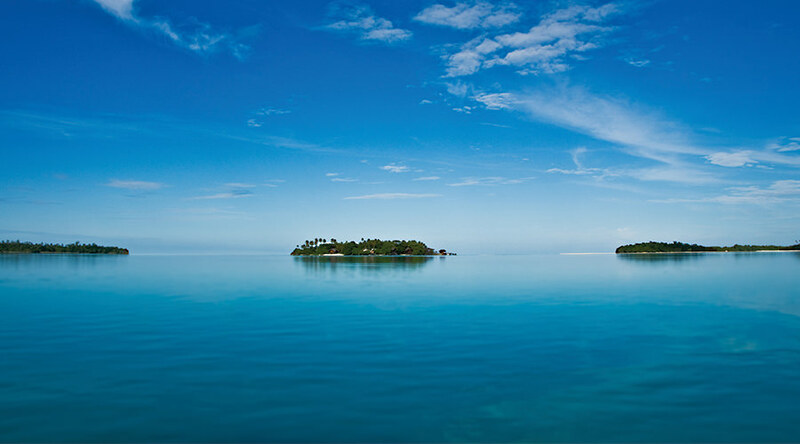 Nabucco Island lies in a remote island chain off the Eastern coast of Kalimantan, Indonesia. 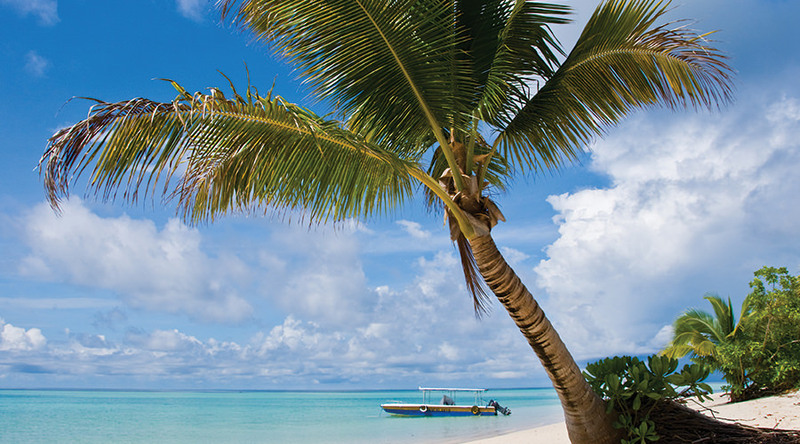 This is completely off the beaten track, where a tropical idyll awaits. 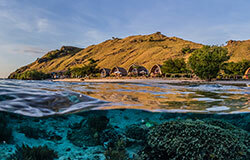 If you want to fall off the face of planet and indulge in pristine Indonesian diving far from the crowds, then make your way to Nabucco Island. Most divers head here for the big fish. But the variety underwater is remarkable, from some muck diving sites, macro reefs to high impact drift diving along walls. Nabucco has it all! So what are you waiting for? The adventure starts here! There are only 18 bungalows in total across the whole resort, with 9 Seafront rooms, 7 Garden rooms and 2 Nabucco Suites. The seafront rooms are perched on the water's edge with lush vegetation behind - a low tide you will find small sandy beaches, at high tide you can swim right out from your bungalow. They enjoy a beautiful view over the turquoise la- goon and starry sky. The Garden rooms are set back a little in the garden and enjoy beautiful views of the green garden. 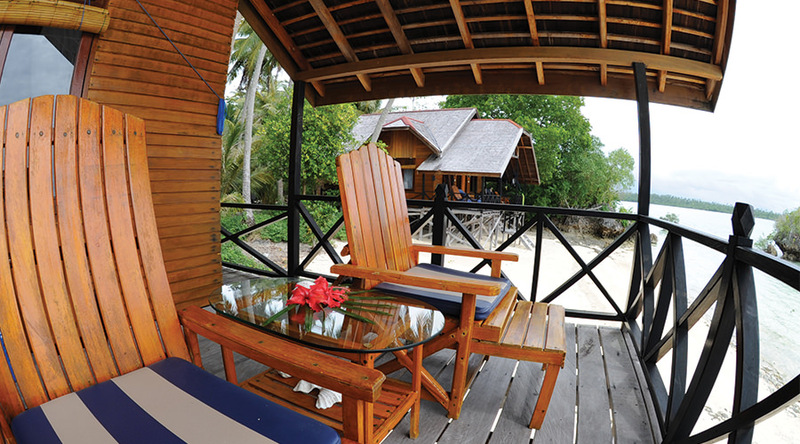 Some bungalows have 2 rooms each under their roof � of course with separate entrance and own bathroom. The Nabucco Suites are spacious single standing bungalows with be- autiful sunset view and upgraded interior.Please just request your room type at the time of booking. 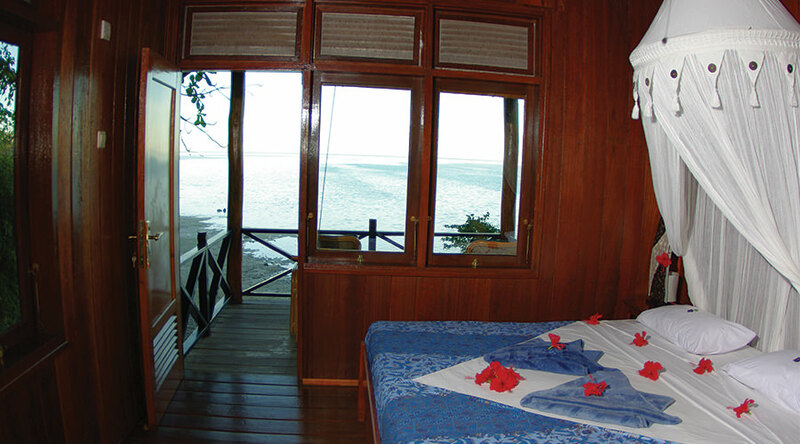 Each of the bungalows has AC, mosquito net, semi enclosed bathroom with shower (hot and cold water) and a mini bar. Every effort is made to have as small an impact as possible on the environment. Follow the sandy paths and you will find the welcoming team, a chilled out reading area and safe at the reception. 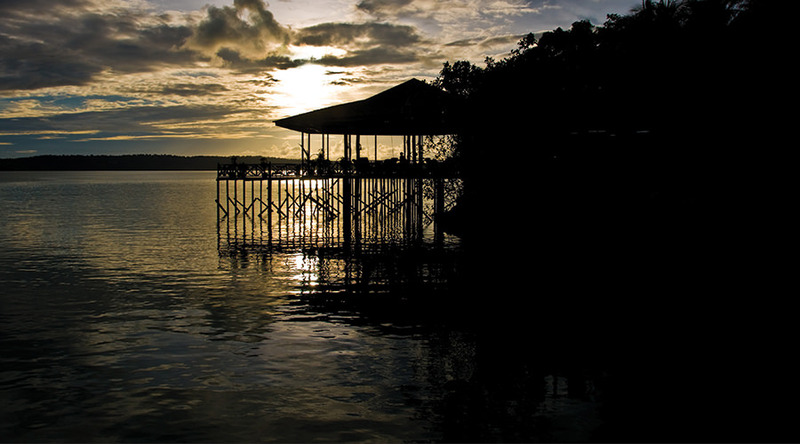 The Sunset bar is the place to end your diving day - grab a cool drink and soak in the breath taking views. 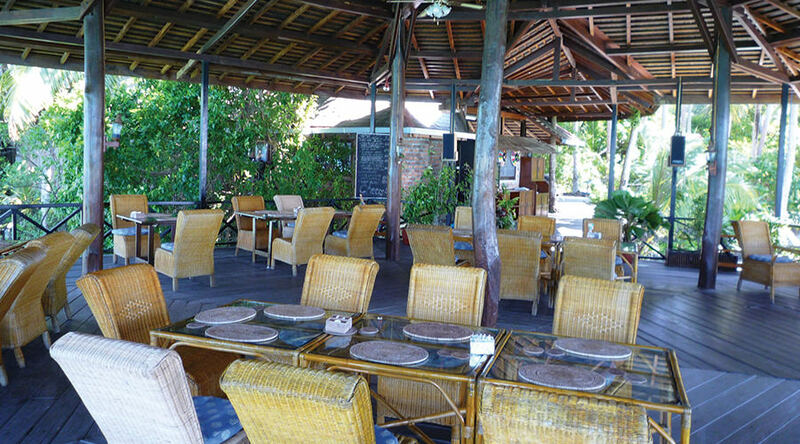 The restaurant is open air, serving Asian, European and Indo Pacific dishes throughout the day. Start your morning with a continental breakfast, followed by an a-la-carte lunch. At the end of the day tuck into a 5 course dinner. 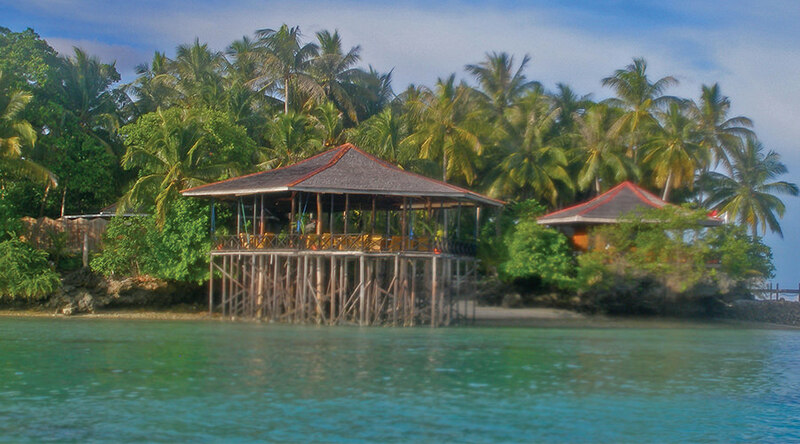 If you are looking to spend some time above the water, why not play some beach volleyball or Indonesian cookery classes. Massage services are available on demand. 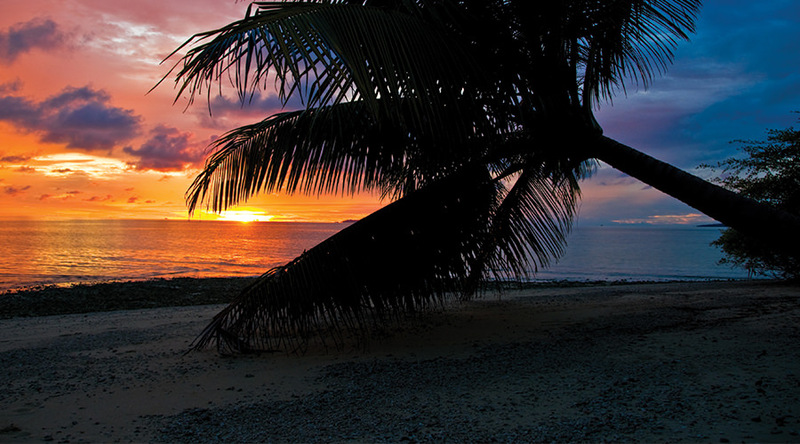 This is dive escapism at its very best! Just back from a great trip with Martin and Mario - really had a great time . Thanks for our great room with a view The highlight for me was jelly fish lake- even better than the one Palau and also with very colorful sponge covered mangrove roots. Your holiday includes international flights, domestic flights, airport transfers, and 7 nights full on a full board basis in a garden room (2 people sharing), breakast with fresh juice, tea and coffee, lunch and a 4 course dinner). 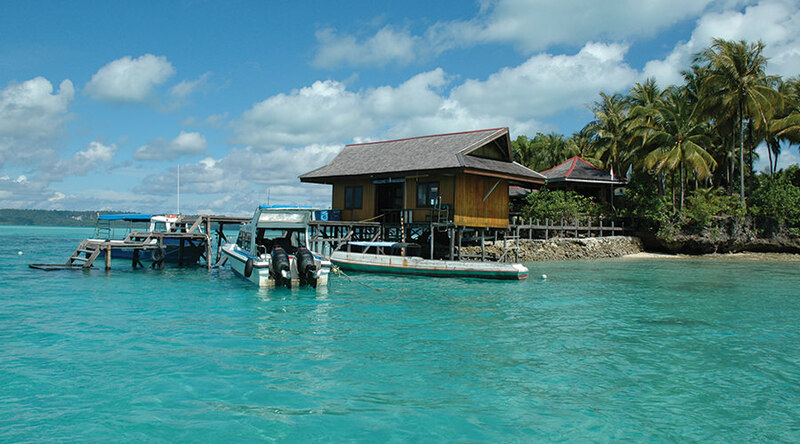 The most common dive package is 20 boat air dives with 2 special trips to Kakaban or Sangalaki. Excluded from your package are any additional local services (spa, land tours, additional dives, kit hire, private guides, and special trips). Water, soft drinks and alcohol are all available in resort for a local charge. Upgrade locally for additional trips to Kakaban or Sangalaki. Recreational nitrox is available for a fee in resort. 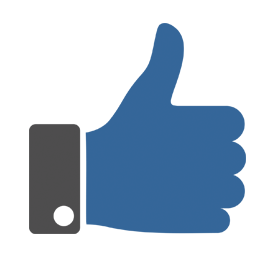 A 10% VAT is applied to all local purchases. All our prices are listed in Euro. 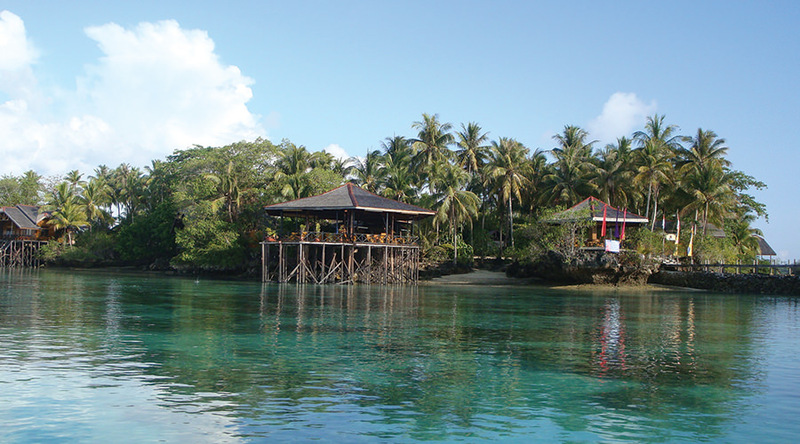 All extra costs (drinks, tips, extra dives and so on) can be paid in Euro, USD & Rupiah. Please consider that foreign banknotes have to be in perfect condition � otherwise Indonesian banks will not accept them for change or reduces their value to a bad currency exchange rate. US-Dollar notes are only accepted if they are from 2009 or younger and with no damages. The resort is unable to accept any credit card payments. A typical deposit for a holiday to Nabucco is £400-£800 per person, although this will depend on your exact flight option and travel class. Larger deposits may be required for some flight options (eg premium economy/business class). At the end of the picture perfect jetty you will find the Extra Divers team, ready to take you exploring! Most divers are looking for the big stuff in this area - sharks, barracudas, tunas, eagle rays, manta and turtles are all commonly seen. In only 5 minutes you can be drifting side by side with huge pelagics and schools of fish. Or why not take a special trip to Sangalaki to the manta cleaning station. But don't overlook the healthy reef systems and varied macro life. There's something for everyone underwater here at this year round diving destination! The team at Nabucco have been pioneering the diving in this area since 2001. They are a professional, multi lingual team where dive groups are kept small and the service standard high. PADI or SSI courses are available but please be sure to prebook these due to the remote location. 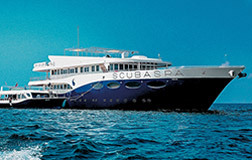 A typical day at Nabucco involves up to 3 boat dives, with early morning, sunset and night dives on request. Big Fish country is an undeniable highlight. This is where you will find sharks, sharks and more sharks. Big balls of barracuda swirl in the blue and bumphead parrot fish chase each other. It's tempting to just keep diving here, but there are around 30 sites to explore. Many are wall dives (Leo Wall, Big Fish Wall, Sea Wall), with large sea fans and yet more pelagics. There are some sandy slopes too, where leopard sharks are found. Look closely for pygmy sea horses, leaf fish and all manner of nudibranchs at Capri Point or Bantu Kan. As the sun starts to set there is a mandarin fish dive. You can dive from the jetty but the house reef can be subject to strong local currents so timing is critical. 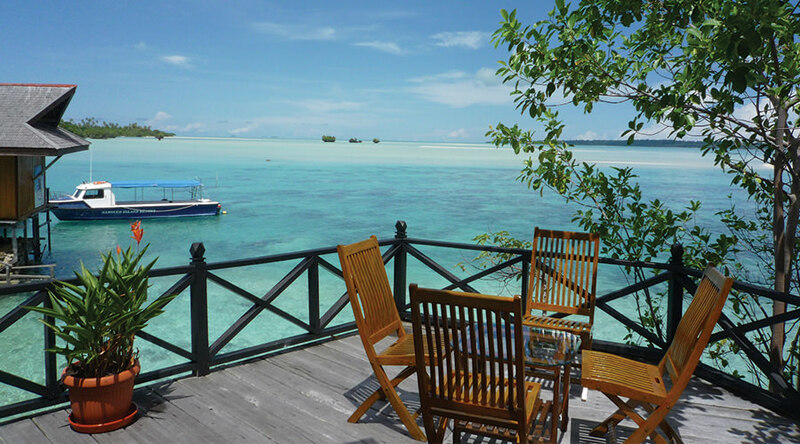 If you pre-book your diving as part of a holiday package with Scuba Travel you can take advantage of our special rates and make considerable savings on your dive package or dive course at Nabucco Island - Kalimantan. Your holiday includes international flights, domestic flights, airport transfers, and 7 nights full on a full board basis in a garden room (2 people sharing), breakast with fresh juice, tea and coffee, lunch and a 4 course dinner). Water, soft drinks and alcohol are all available in resort for a local charge. 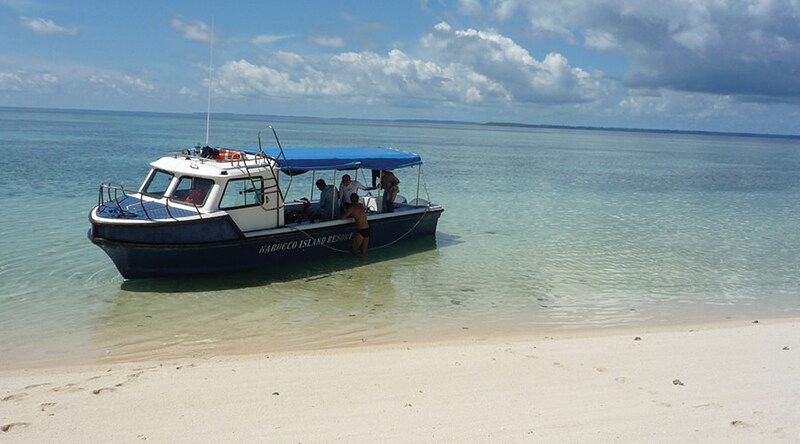 The most common dive package is 20 boat air dives with 2 special trips to Kakaban or Sangalaki. Recreational nitrox is available for a fee in resort.